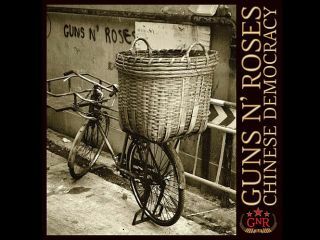 Kevin Cogill, the blogger who posted nine Guns N' Roses Chinese Democracy songs online illegally last June, could still be facing the music, but much less than he originally thought. His charge has been reduced from a felony to a misdemeanor. The maximum jail term Cogill could now face, if convicted, is one year, versus five. On Tuesday, the authorities and Kaloyanides are expected to pick a trial date. However, it is also rumored that a deal may be in the offing. Not that Cogill will be in the clear, however. He could still be liable for monetary damages should Guns N' Roses sue him. And with Chinese Democracy having cost upwards of $30 million to produce, Cogill might find himself working as Axl Rose's unpaid lackey for years to come. The original felony charge was brought against Cogill, who blogs on his website Antiquiet under the name 'Shewrl,' last August after he uploaded onto YouTube the unreleased songs Chinese Democracy, Better, The Blues, Madagascar, There Was a Time, IRS, Rhiad And The Bedouins, Prostitute and If The World. UPDATE: MusicRadar's Chinese Democracy review.